Irungu Mutu is absolutely thrilled & blessed to be part of this ground breaking project. 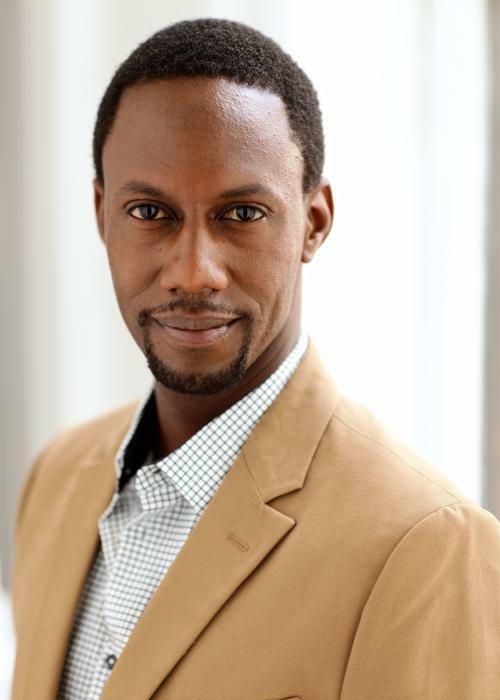 His TV/film and webseries credits include Preacher (AMC), Elementary (CBS), The Blacklist (NBC), Boardwalk Empire (HBO), Maanokoobiyo (Sundance Directors Lab), Don’t You See (Fahrenheit Films), The Feels (Manley/Lataillade Productions), ‘Roger’ on Power (opposite Victor Garber, Omari Hardwick and Naturi Noughton), and the upcoming Bikini Moon and Oxalis. Selected Off-Broadway/NY credits include Nollywood Dreams (Cherry Lane Theatre); Our Lady of Kibeho (Signature Theatre); Before and After NY (Performa 2015 Biennial); Bikeman (Tribeca P.A.C); A King of Infinite Space (HERE Arts Center & NY SummerStage); Bronks Ekspres, The Moth & the Flame (Target Margin Theater), and the upcoming Yellow Card Red Card at the Ohio Theatre. Regional credits include Petrol Station (Kennedy Center); Macbeth (Actors Theatre of Louisville); The Language Archive (Bristol Riverside Theatre); Stepping Out of the River at Dawn, Ruined, Hijab Tube (Mixed Blood Theatre); The Convert (Wilma & Woolly Mammoth Theaters); Henry V (Arkansas Rep); A Raisin in the Sun (Crossroads Theatre); and Peter and the Starcatchers, Memphis (La Jolla Playhouse). Irungu is a graduate of the University of California: San Diego (MFA), Rutgers University-MGSA (BFA). He studied abroad for a semester at Shakespeare’s Globe Theatre-London. He wishes to thank his outstanding cast-mates and the outstanding 3TC Production Team.